International criminal lawyers in Italy. 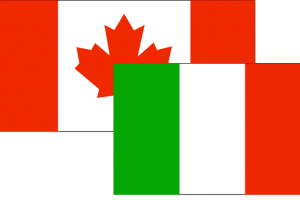 The bilateral treaty on extradition between Canada and Italy was signed in Rome on January 13, 2005 and entered into force in 2008. According to the provisions of the treaty, each State Party undertakes to deliver to the other any person who is wanted or has been punished by the competent authority of the other party, for any of the offenses listed in the treaty. The requested State is not obliged to grant extradition in relation to offenses committed outside the territory of the requesting State, except in cases where it can claim a similar jurisdiction for crimes committed outside its territory. Extradition shall be granted in respect of any offense for which extradition may be granted according to the legislation of the Contracting Parties and, in particular, for the offenses indicated in the reaty, provided the act or omission is an offense punishable by the laws of both Contracting Parties. Extradition shall also be granted in the event of an attempt or competition in the commission of an offense indicated in the treaty. Extradition shall be granted only in respect of offenses for which, under the laws of both Contracting Parties, may be imposed a sentence of two years of prison or a more serious penalty. - the offense for which extradition is sought is punishable by death under the laws of the requesting State and the laws of the requested State do not provide for the offense in question such penalty, unless the requesting State gives guarantees not to impose the death penalty. offenses against the laws relating to securities transactions.